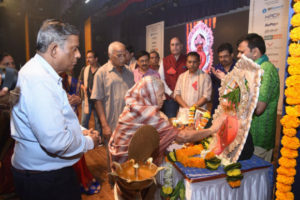 Mumbai: The 11th Nuakhai Bhetghat 2017 was celebrated by Paschim Odisha Parivaar – Mumbai on Sunday the 24th September at Swatantraveer Savarkar Auditorium, Dadar – Mumbai with great enthusiasm by people of western Odisha living in Greater Mumbai Area. Shri Arvind Singh, IAS & Secretary – Dept of Energy, Govt. Of Maharashtra was chief-guest of the function. Shri Singh and other respected guests unveiled the 7th edition of souvenir “JUHAR” 2017 issue. Veteran Bollywood & TV Comedian Shri Satish Shah graced the event as a special guest. 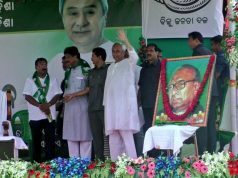 He honoured Padmashri Dr.Jitendra Haripal with a Shawl & Memento on behalf of Paschim Odisha Parivar Foundation – Mumbai. He also danced with the Sambalpuri beat and entertained the audience. 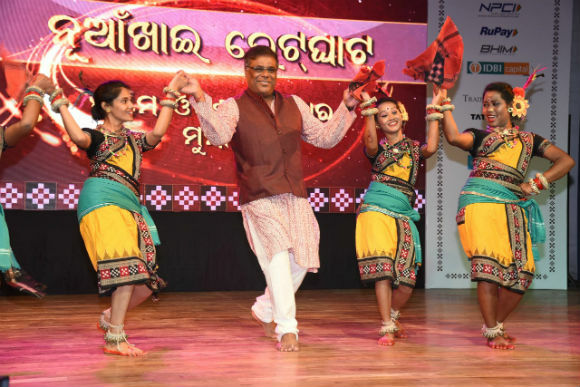 Celebrated Bollywood famous Villain Ashish Vidyarthi also graced the event and appreciated the efforts of the organiser in promoting the Sambalpuri culture at Mumbai. On public request he also danced with the Sambalpuri beats and commented “ Kamal Hai Tum Logone Villain Ko Nacha Diya. Celebrity TV stars Sonalika Joshi and Disha Vakani of popular TV serial “Tarak Mehta Ka Ulta Chashma” also graced the occasion and wished the audience Nuakhai Juhar. 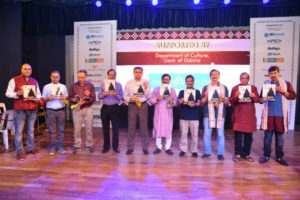 All the celebrity stars and guests were presented with a memento made from Sambalpuri Textile by the organisers. Folk dance troupe “Ranga Farua” from Sambalpur entertained the audience with popular Sambalpuri songs & dance. Padmashri Jitendra Haripal sang his popular Rangabati to make the audience frenzy. The audience danced to the tune. It was full blast on the stage which continued till 5 PM. Shri Padeep Panda, senior OC Member presented the troupe with a memento for their excellent performance. The organization honoured the merit students who has excelled in previous board or university exam or on major arts or sports event. Members participated in the best Sambalpuri dress competition and won prizes. Traditional Vogue – Sambalpur, a company creating designer cloths using Sambalpuri Textiles arranged a fashion show with young models from Mumbai walking on the stage with different types of Sambalpuri attires. All the members enjoyed the Khiri & Manda Pitha made by the ladies team members. The food supplied by Ketkar Caterers was delicious. Paschim Odisha Parivaar thank SBI General Life Insurance, National Payment Corporation of India (NPCI), Tata Motors, IDBI Capital, Traditional Vogue, Vaisakhi, Union Bank, Canara Bank, Ferro Tech India, Siddhi Trade Matrix and Bank of India for supporting the event. We also thank the key supporter of the event i.e. Culture Dept., Govt. 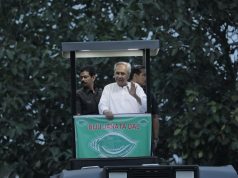 Of Odisha and other advertisers for their contribution. 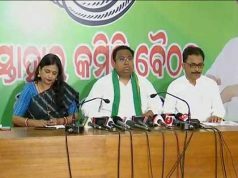 Paschim Odisha Parivaar request them to continue the support in future.